It is still not entirely clear whether the recently launched Apple Watch is a serious timepiece, a technical gadget or just a fashion accessory. Perhaps a little bit of everything? 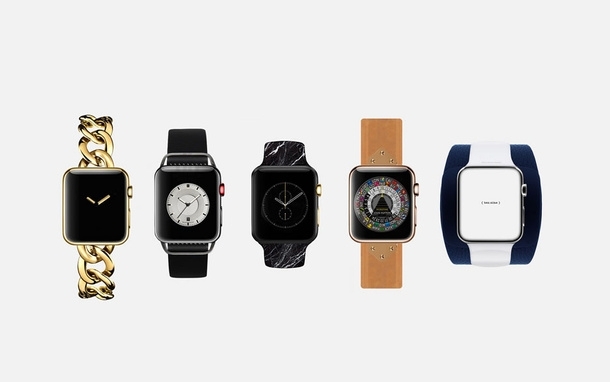 Either way, illustrator Flnz Lo also asked himself how the Apple Watch would look like if the most famous luxury brands were to have been involved in the delight. Apple are already one step ahead and plan to launch a luxury Edition model for the luxurious conscious next year. Nevertheless, it is interesting to see, how the smartwatch would look like if it were to be designed by brands such as Alexander Wang, Givenchy, Chanel, Louis Vuitton or Maison Martin Margiela.